We live in a time of great tribulation. Everyone has their own stories filled with sadness. Global events turn people into wreaks and localised events make people behave in ways that they would not normally. We see earthquakes, tsunamis and all manner of 'natural' disasters on a daily basis. Thousands of sea life disappearing to the bottom of the ocean, as we dine on even more fish. Events occur in our lives and we are ill-equipped to deal with the repercussions, as well as lacking the mental capacity to rationalise the issues we face. Sometimes we bring problems onto ourselves by being unable to recognise our faults. We lose a loved one and it becomes extremely difficult to get on with our lives as nothing can fill that void. We lose jobs in an unfair manner and because of the lack of backbone we are unable to do anything about it. We all have our problems and no one has lived a life without problems. We complain, we moan and we lose our temper over the smallest of things. We feel slighted and upset so we lash out with words that we later sorely regret. What do we do? We try to escape our realities because they are too difficult to comprehend. We live our lives in computer games, movies and other forms of entertainment. The games industry is worth over ten billion dollars a year, the average player is 34 and forty percent of the players are women. The movie industry plays with the emotions of people across the globe as we cry tears when watching a film only to turn over when we see real suffering. We live detached from reality. We work as small units under fire from peers and do our best to undermine them, to try to push our names forward. Why can’t we deal with reality? Is it so hard? We try to hide beneath layers of virtual realities and false bubbles that we have made for ourselves. But sooner or later every bubble bursts. In our own ‘ghettos’ we live with people of the same nationality and the same religion. Yet it’s when we leave these areas do we find that we are not alone on this planet and there are other people. Sometimes Muslims are ignorant of each other as they fail to recognise those Muslims who are not born in the same village or country that they come from. Some would say that there is no problem yet others would say that there is. After 9/11 everyone said that the world changed but did it? The anti-Muslim rhetoric has always been bubbling like fat under the surface of the entertainment we consume but we did not notice? Our main problem is that we do not understand the beauty of the divine decree and that is why our hearts are like processions of protestors. Simply put we are not unable to understand our place in the world nor are we able to overcome our problems. Allah (the Exalted) states in the Quran, “I created the jinn and humankind only that they worship Me.” (Ad-Durryyahat 51:56). Islam is about realising your place in the world as a servant or realising your potential as a servant of Allah. Converts sometimes describe the peace they achieve when they submit and become Muslims. This is something that many born Muslims have failed to do, submit. Realise that if you were born Muslim, Allah (the Exalted) wanted you to enter paradise and it’s now down to you what you do about it. If someone is decreed to go to paradise they will end up there but who likes a bumpy journey when you can have a smooth one? So is this our way out? To submit to the divine will and do the best in our lives, is that our solution? Well, yes once you have realised the futility of your struggle you can work on submitting yourself and realise the ease that you’ll find yourself in. Objecting to the divine will is very subtle or blatant at times. An example of blatant one is when we complain about the recently deceased. We go to funerals and complain, why were they taken from us? They should not have died and other verbal objections made in the vicinity of the relatives. The decree of their death and our deaths has already been written, so what are you complaining about and who are you complaining about? Allah (the Exalted) in his unbound wisdom chose our lifespan and when it comes to an end, we cannot do anything about it. So all your complaints cannot bring them back, submit and realise that if they died Muslim are they in a better place. If they did not then they are in a worse place. We may have been treated unjustly that caused the loss of a someone we love. This is very difficult to deal with but we have to keep going. Of the other minor but still deadly complaints is about the weather. We complain when it’s warm and when it’s cold. Why don’t we realise that if we complain or if we do not, the weather won’t change! There are some things that cannot change with a complaint unlike some rude shop assistants! Are you complaining about the way Allah (the Exalted) arranges the weather and do you now see how complaining about decree is so bad. The way the things are in the world are exactly how Allah (the Exalted) arranged them. Although our part needs to be explained. We need to do our best in our fields of responsibility but we are not responsible for those things that are outside our control. Sending aid, money, help and prayers are sufficient. For those lucky enough who are able to help with rescue operations with aid agencies are lucky. Complaining to international courts hoping for some justice does not mean we lose hope when they turn a deaf ear to the cries of the massacred. As we know we shall have our day on the final day so don’t moan about the lack of justice, it is not what we should be doing. Accepting the divine decree does not make us fatalists rather we try our best in our lives. Be concerned about what you can change and do not weep of what you cannot. It was something so important that is was mentioned with the pillars of the Islam. In one narration it describes divine decree as being bitter or sweet. Not that it has a perceptible taste rather it can be difficult and it can be easy. The bitterness is difficulty and the sweet is ease. Having a good opinion of Allah (the Exalted) in these times of disaster is something that should be a source of strength. Know that Allah (the Exalted) always does what’s best for the Muslims and sometimes a greater evil is removed by a lesser evil. It’s not always easy for us because it can be so difficult. Work might be needed to clear the tongue and the heart from objecting. In an hadith Al-Qudsi/divine tradition Allah (the Exalted) said, “I affirm my servants opinion of Me.” (Al-Bukhari and Muslim). So if you think that Allah (the Exalted) is merciful you shall see it and if you think that Allah (the Exalted) is an oppressor then you shall see oppression. So this highlights the importance of thinking that Allah (the Exalted) does what best for us. Have a good opinion of your Lord and you shall see the benefits. The Messenger of Allah (may Allah bestow peace and blessings upon him) said, “Having good opinion is part of perfect worship.” (Abu Dawood). So there is benefit in purifying those thoughts we have in our hearts as well as our tongues. So when you see someone who has something that you do not, do not envy him. As Allah (the Exalted) has given him blessings and it is He who has decreed it. So try to take it out of your heart and ignore the envy you have. This is also very subtle so beware. Emotionally detaching yourself from events that occur in your life can give you a clarity that others lack. You realise that this world is not the only realm that justice occurs. We do not mean that you are emotionless when things happen to you rather we mean you look at them with the believers insight. The men of Allah see everything with long range sight and not in the short term as we do. They know that the promise of Allah (the Exalted) is true and that victory is close. The saying 'keeping your powder dry' means being prepared for anything. As in an age gone by gunners needed to keep their gunpowder dry because if it got wet then they would not be ready to fire their guns. A Muslim must keep his Imam powder dry and be ready for anything. Sometimes we desire things in our lives that are no good for us. Some of us are unmarried and desire a partner more than anything but if we were married then maybe we would not be able to fulfil the rights to our wedded partner. We can sometimes desire something so much that it distracts us from Allah (the Exalted). So turn away from your desire and turn to Allah (the Exalted). As Allah (the Exalted), the creator can fulfil you more than creation. And at times that's when you get something when you turn away from it. Also avoid discussions about the decree or delve into its meaning, as you will get confused. Know that you are never forced into sin and it is your responsibility. Ibn ‘Ata Allah's celebrated work called Al-Hakim contains an amazing aphorism which explains this all very clearly. Number seventeen says, ‘You have not abandoned ignorance if you desire something to manifest in a time; other than what Allah has manifest.’ (P.75 Iqad Al-Himam fi Sharh Al-Hikam by Ibn ‘Ajibah on Ibn ‘Ata Allah’s work) Ignorance being the opposite of knowledge. This really does need to some reflection. In a hadith al-Qudsi/a divine hadith it gives that following statement made by Allah (the Exalted), “Whoever is not pleased with my decree, is not patient upon my tribulation should leave my skies and find another Lord.” (Al-Tabarani in Al-Mu’jam Al-Kabir.) Of course there is no other Lord and you have no other place to go to, as wherever you travel is within his dominion. You cannot go somewhere that does not belong to him! Abu Uthman (may Allah be pleased with him) said, ‘For forty years Allah (the Exalted) has not placed me in a position that I disliked or moved me something that angered me.” (P.76 Iqad Al-Himam fi Sharh Al-Hikam by Ibn ‘Ajibah on Ibn ‘Ata Allah’s work). Abu Dhar Al-Ghifari (may Allah be pleased with him) narrates from the Prophet (may Allah bestow peace and blessings upon him) transmits from his Lord (Mighty and Exalted) said, “O my servants; I have declared oppression impermissible for myself and made it amongst you unlawful so do oppress each other.” (Muslim). Allah (the Exalted) does not oppress us so please try to understand. We all belong to Allah (the Exalted) and do the possessions have the right to complain? He gave us life and told us that one day it would be taken from us then we would move us to eternity. So should it come as a surprise when someone dies? “Do you expect to enter Paradise without being tested like those before you? “ (Quran: the Heffer 2:214]. This is a clear indication that we are going to be tested so do not be surprised. Does it come as a shock? You should expect things to run smoothly sometimes and other times to not. Expect to lose what you love. This is life after all but do not lose hope because if things are bad now know that they can change in a moment. Be hopeful and anticipate relief, “O’ believers, seek assistance with patience and prayer and Allah is with the patient.” (Quran: the Heffer 2:153). Patience and prayer is our way out and if we do that then Allah (the Exalted) is with us and if Allah (the Exalted) is with us do we need anyone else? These examples are easy to relate but the true test is when someone actually experiences the events that shake them. Its is easy for me to say but hard to do because there is a distinct difference between utterance and action. I used to think that I was strong but realised, when an event occurred, that I was actually quite weak and its taking time to repair myself. So if you are in a big storm now, keep walking because sooner or later you'll be free of it. And maybe you'll realise that things that did not work for you, were all for the best. Remember just because one thing did not work out for does not mean that we forget the rest of the blessings that we have. The least blessing we have is the greatest, our faith. I pray that Allah gives us the understanding of divine decree and allows us to make the best of our remaining time on this earth. Ameen. Please click here for seventeen benefits of tribulation text and here for the audio lecture. 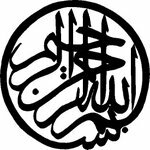 Please click here for forty hadiths about tribulation. 1.There is nothing worse than reaching your goal then realising that it was not want you wanted. Nor did it make you happy. 2.There is a wealth of good for he who is unhappy with himself. 3.Joy is only known by suffering. 4.Just because your naafs says yes does not mean that you have to obey it and say yes as well. Say no and ride out the bitterness. 5.How strange is the human condition that makes the best things become normal, after a while and the worst things routine, after a while. 6.Try your best and wait patiently. 7.Tassawwuf is to learn how to train the self to control itself! 8.Lower your gaze in the world so you can raise it afterlife. 9.Going against the naafs opens doors of understanding. 10.Give up fantasy and embrace reality. 11.When you finish sleeping; finish dreaming. 12.Speak up for yourself because no one is going to speak up for you. are; even then hide their sins and do not uncover them and remember not to trust them. 14.Being truthful is like finding gold. So if you find a truthful person stick with them. 15.Try not to allow your emotions to run away with you control your emotions and keep them in check. 16.The past is never coming back so assign it a box then throw those bad memories away. 18.A leader must do the greater good. 19.Nothing, in the world, is ever perfect. 20.You can only teach people what they want to learn.